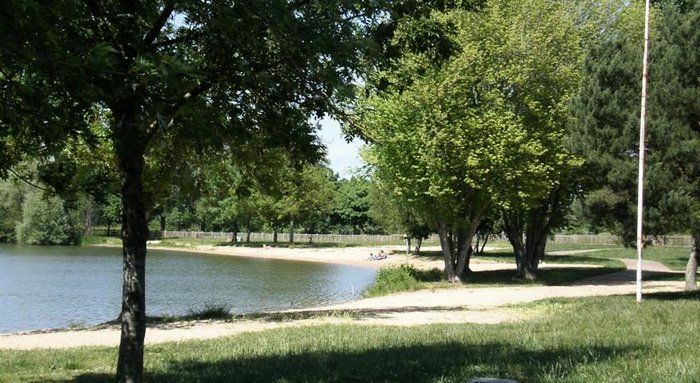 Surrounded by green areas and next to a lake, Le Rochat *** welcomes you in a natural setting near the city center. You will spend a pleasant holiday with family or friends. The center of Châteauroux is located 2km from the campsite. In July and August, enjoy entertainment and activities offered by the campsite (bowls, meal music, welcome drink etc). At your disposal on site, many services will facilitate your service: a grocery store, private parking, children's playground, bike rental service etc. Enjoy the location of the camp is an ideal starting point to discover the natural wealth of this beautiful region. Mobile home 3 Rooms 4 Persons 30m² consisting of a lounge, a fitted kitchen, a bedroom with 2 single beds, a bedroom with 1 double bed, a bathroom with WC. Terrace. Note: Bed linen and towels not provided. The mobile home includes a kitchenette equipped with refrigerator, microwave, coffee maker, pillows, blankets, kitchen utensils and crockery adapted to the number of people. Television. The terrace has a garden.